Inter Milan's lead at the top of Serie A was cut when they lost 2-1 at home to Lazio on Sunday while AS Roma beat Genoa 2-0 to record their first win in eight games and ease the pressure on under-fire coach Rudi Garcia. The title race remains congested as second-placed Fiorentina defeated Chievo 2-0 and Napoli, in third, beat Atalanta 3-1. Juventus' winning streak continued when they came from behind to beat Carpi 3-2. Napoli and Fiorentina have 35 points, one behind Inter who were sunk by two-goal Antonio Candreva. Roberto Mancini's side fell behind when Candreva struck a fifth-minute thunderbolt but they levelled as captain Mauro Icardi slotted the ball beneath Etrit Berisha in the 61st. Brazilian midfielder Felipe Melo then gave away a penalty in the 87th minute after fouling Sergej Milinkovic-Savic and Candreva beat Samir Handanovic on the rebound after his initial effort was blocked. Melo lost his composure and was dismissed in stoppage time after aiming a kung-fu kick at Lucas Biglia and Milinkovic-Savic received a second yellow card moments later. "Unfortunately Melo did two stupid things," coach Mancini told Sky Sport Italia. "We did the damage ourselves, we threw it away." Mario Mandzukic scored twice as Juve extended their Serie A winning streak to seven matches to head into the winter break in fourth on 33 points, a point clear of Roma in fifth. Former Juve striker Marco Borriello gave second from bottom Carpi the lead but Mandzukic equalised in spectacular fashion when he swivelled to fire a volley past Vid Belec. 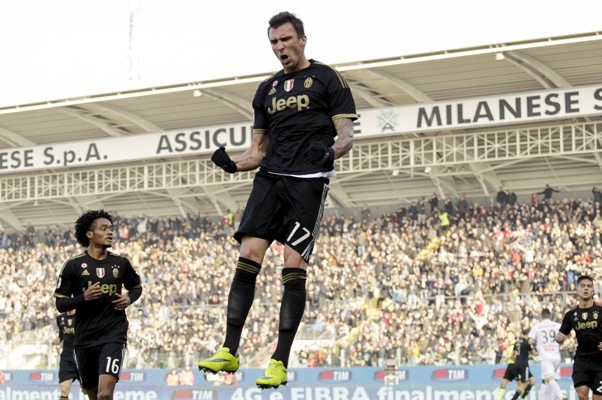 Mandzukic netted again with a header in the 41st minute. Paul Pogba added a third before Leonardo Bonucci's late own goal set up a tense finale. Roma's Alessandro Florenzi and Sadiq Umar scored, while Edin Dzeko was sent off for swearing at the referee, as Garcia's side ended a run of seven games without a win in all competitions by beating Genoa. Garcia was close to the exit door, according to media reports, following their midweek Italian Cup elimination by Serie B Spezia but may have bought himself some time. "We can see the light at the end of the tunnel," said Frenchman Garcia. "We remain close to second place and it's all open for 2016." 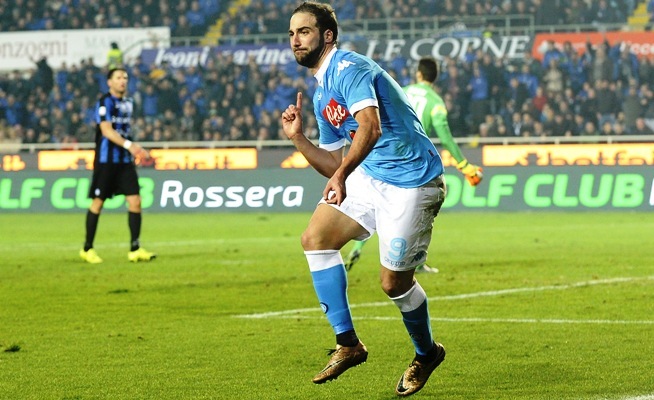 Napoli saw off Atalanta with two second-half goals from Gonzalo Higuain although both sides had a player sent off during an ill-tempered match. Fiorentina downed Chievo with goals from Nikola Kalinic and Josip Ilicic while AC Milan's fine form under Sinisa Mihajlovic continued as they came from behind to win 4-2 at struggling Frosinone to extend their unbeaten run to eight in all competitions. Verona and Sassuolo drew 1-1, Sampdoria beat Palermo 2-0 and Udinese won 1-0 at Torino.